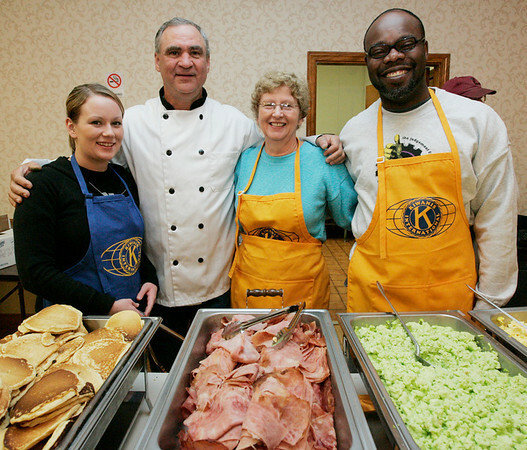 Beverly: Kiwanis Club members from left, Melissa Carr, Rene Gagnon, Katie Finch and Michel Leveque, serve up some green eggs and ham along with pancakes while the Italian Community Center Saturday morning. The Kiwanis Club held a breakfast, complete with characters and free books, to celebrate Dr. Seuss' 105th birthday. Photo by Deborah Parker/Salem News Saturday, March 21, 2009.